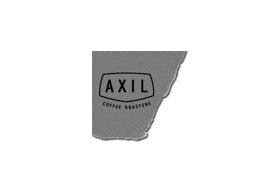 Axil Coffee is a specialty coffee roaster, café and wholesaler that was born and raised in Hawthorn. It is the collective vision of an experienced group of coffee roasters and baristas founded by husband and wife team Dave Makin and Zoe Delany. The Axil team brings years of hospitality experience from barista competitions, coffee roasting and café ownership. Our Hawthorn roastery and café was established as a platform to share their collective passion for coffee and food.